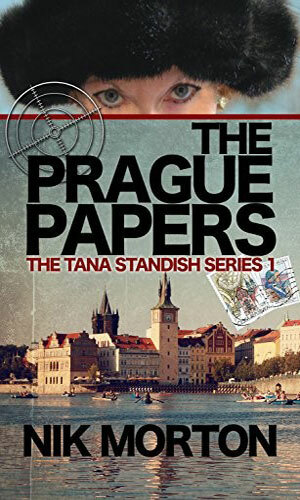 Tana Standish is an agent with MI6. Born in Warsaw, Poland, in 1937 of Jewish parents, Tana was a very small victim of the Nazi invasion and the siege of that city. When her parents were killed, her two older brothers tried to get the three of them to safety but both died in the attempt, the final act of her nearest sibling being stowing her away on an outgoing vessel. The vagaries of life brought her to England and a young British couple who would take her in and adopt her. Her new father died in a car crash a couple years later but her new mother and she continued. She grew up and attended Edinburgh University in the mid 50s, majoring in psychology. From there she moved to work at the Parapsychological Research Unit from 1958 to 1965. Her selection of work was by no means a whim and she did far more than study the ideas of Extra Sensory Perception, she participated. From her earliest memories she could perceive things, see images in peoples' minds especially when they were agitated or scared. Through her work she learned to better use her skill and to be able to not use them. Her abilities would bring her to the attention of British Intelligence and at the age of 29, she left her work in academia and joined MI6. The talent of being able to actually gleam unspoken information from the people she met was invaluable to her side. It was just as important to the other side as well and it was not long before both learned of the other. The recorded adventures take place in the mid-70s with a maturing Standish having been active in the cloak and dagger field for well over a decade. She is seasoned, experienced, and more than capable of taking care of herself. Years in the business has taught her that her gift was not enough to survive and she had trained her body to be strong enough to get out of the trouble her mind senses she is in. The year is 1975 and tensions are still hot in Czechoslovakia after the Soviets invaded. Tana Standish is sent in to repair the intelligence network there but she must deal with a traitor even as she learns of a secret Soviet facility in the mountains. Unfortunately for her, she is not the only psychic in the region. In the late 70s, Iran is a hotbed of unrest as the Shah's power weakens. 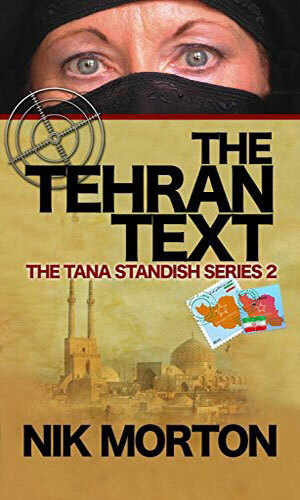 Tana Standish is sent in by MI6 to learn the truth as the CIA's rosy picture is not believed. As she deals with matters there, she must also handle the fact that the Soviets have sent people in to kidnap her. Back in the early 70's, which is just before the events of this series (written much later) take place, it was a huge thing to be into Extra-Sensory Perception. I, for one, was fascinated with the idea and read all sorts of books and magazine articles about the research and what 'they' knew or were on the verge of proving. I loved it. Of the several different types of ESP (and there were several), telepathy was my favorite. I wanted very much to be able to read someone's thoughts! Mind you, when I realized that it meant knowing what that person really thought about ME, well, my interest waned real fast. Forty years later, the studies of ESP have, as far as I know, largely died away. The hype certainly has. No great awards were handed down over breakthroughs. No press conferences. No talk show visits. Similarly, the plot line that some manner of thought capture was possible has hardly been common. Which is why this short series is a bit refreshing. The author's use of the government interest reminds me of the fervor from back then, especially the worry that the other side was already using ESP so we had best catch up. What I especially like about Standish's world is that it is not 'going to happen' but was already going on. I also liked and appreciated the fact just being able to get a picture now and then is very helpful to an operative but it cannot stop a bullet. And knowing what one person is thinking is fine but in a room with three opponents, it is sorta kinda not enough. So having the other skills that Standish has gets real important.